For some people, luxury watches are merely some antiquated tools used to keep track of time back in the days before color television, microwaves and front-wheel drive cars. Of course, it is these very same people who walk around the city streets tracking down Pokemon with their iPhones while wearing Apple watches. Go figure. These type of people fail to realize that a watch, a real watch like a used Rolex Submariner, is more than just a timepiece, a watch gives us the opportunity to express our personalities. At the end of the day, a Rolex Submariner gives a more accurate glimpse into my psyche than an Apple watch. 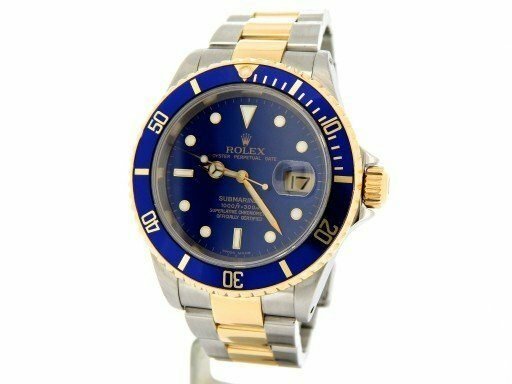 That is, the Submariner perfectly reflects my keen sense of style, outgoing personality and above-average intellect. An Apple watch only reflects, well, we won’t get into that right now. an Apple watch will never get passed down through generations, will never reflect your true personality and will most certainly never get you any closer to a date with an actual woman. As men, we don’t have the luxury of accessorizing with blingy handbags, sequined vests and designer stilettos. Well, most of us don’t. I tried the sequined vest, but it just didn’t suit me very well. Since men are limited in the pieces of jewelry we can wear, we need to make the most of the watches we choose. Which means skipping the Apple watch and buying the Rolex or other luxury watches. If you show up at an upscale event wearing a classic Submariner, you are doing it right. If you show up to the same upscale event wearing a Casio from the 1980s, you just plain look silly. If you want to lug that 56mm watch on your wrist all day, go right on ahead. At the end of the day, your arm will be tired and nobody is impressed by the size of your watch, or the spiked, bleach hair either. You may never descend the depths of the oceans, ascend the tallest peaks or jump a motorboat across a bridge in pursuit of evil villains, but you can wear the same watch secret agents wear. That should count for something. The Apple watch is a technological gadget, and a pretty cool one admittedly. However, an Apple watch will never get passed down through generations, will never reflect your true personality and will most certainly never get you any closer to a date with an actual woman. So, you know, buy a Rolex Submariner instead.